Today was Day #7 of Chocolate and Brownie Theme Week. 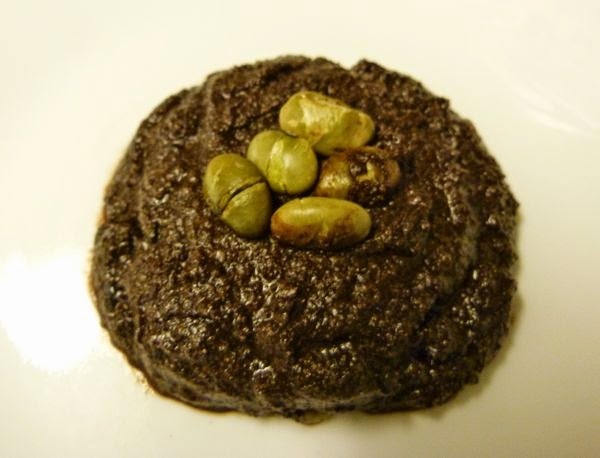 Edamame (green soybeans) may not be the first flavor that pops to mind when dreaming up a new brownie. However, there is much to be said for chocolate desserts with a savory kick. And armed with this belief, I created today's Asian-themed brownie cookies. Say what you will, mixing these up was great fun. To a gluten-free brownie mix, I added finely chopped black sesame crackers, sea salt, a dash of tamari sauce, and chopped up most of a jcoco* edamame sea salt in milk chocolate bar (after tasting this bar by itself). 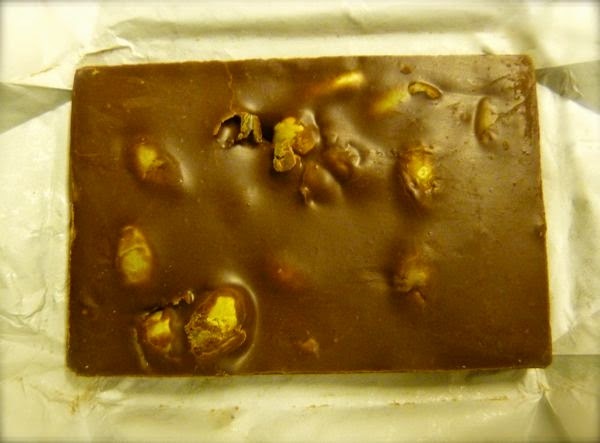 The non-GMO and kosher bar had a good buttery milk chocolate melt/texture with crunchy pieces of roasted edamame and a slight hint of sea salt and soy sauce**. The brownie cookies were chewy, slightly sweet and slightly savory, and were topped with a few roasted edamame. They worked for me, but may not be everyone's favorite. 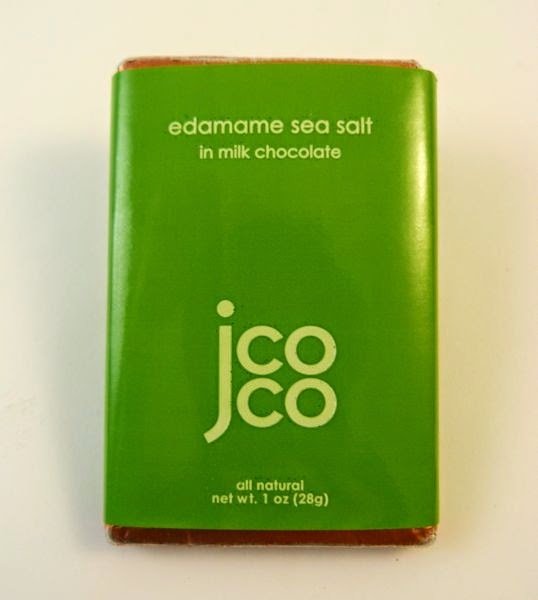 *The jcoco brand is part of Seattle Chocolate Company. **This bar probably contained a trace of wheat from the small amount of soy sauce.